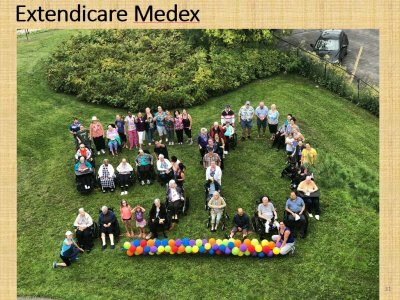 Extendicare has grown considerably since we started operating our first long-term care home in Ottawa 50 years ago. We now provide services across the continuum of seniors’ care including home care, retirement living and long-term care. We also provide management and consulting services and we operate a group purchasing business. 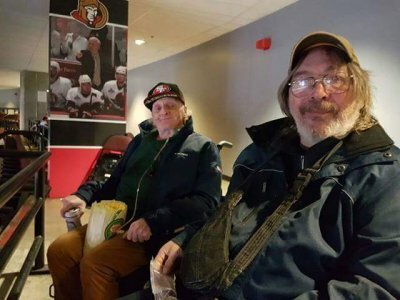 We have continued to grow our organization across all these areas to ensure that seniors find care when they need it at various stages of their life. This edition of our Quality and Social Responsibility Report features many interesting articles that cover our 50 years of care. As you read the report, you will meet Joyce Lawes who has been working with us for 50 years, you will see our most recent quality indicator data, you will experience remarkable moments as shared by our residents, clients and family members and you will learn about how we’ve given back to our communities through various scholarships and contributions. I would like to take this opportunity to thank everyone who has worked hard this year to help people live better, from our frontline employees to our senior leadership team, administrators, executive directors, managers, supervisors, board and volunteers. We greatly appreciate all that you have done. Click to read Quality and Social Responsibility Report.